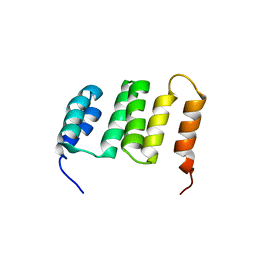 CRYSTAL STRUCTURE OF THE EH 1 DOMAIN FROM HUMAN INTERSECTIN-1 PROTEIN. 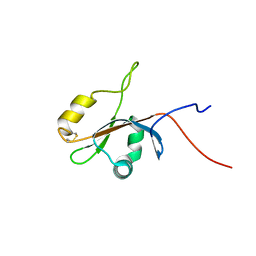 NORTHEAST STRUCTURAL GENOMICS CONSORTIUM TARGET HR3646E. 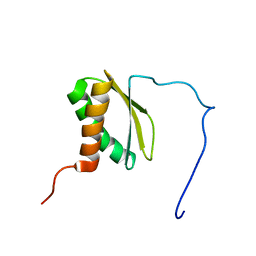 Cite: Crystal structure of the EH 1 domain from human intersectin-1 protein. 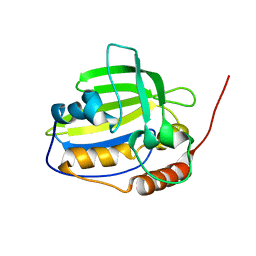 CRYSTAL STRUCTURE OF THE LP_2219 PROTEIN FROM LACTOBACILLUS PLANTARUM. 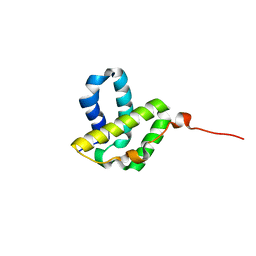 NORTHEAST STRUCTURAL GENOMICS CONSORTIUM TARGET LPR118. 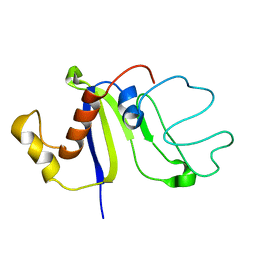 Cite: Crystal structure of the lp_2219 protein from Lactobacillus plantarum. 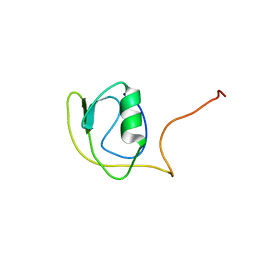 SOLUTION NMR STRUCTURE OF THE OB DOMAIN OF TA0387 FROM THERMOPLASMA ACIDOPHILUM. 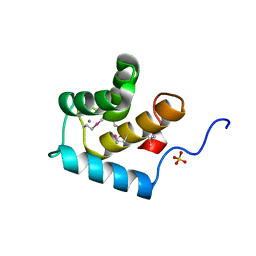 NORTHEAST STRUCTURAL GENOMICS CONSORTIUM TARGET TAR80B. 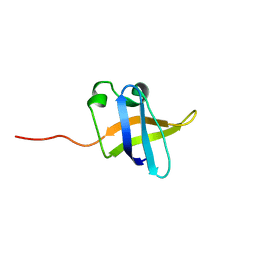 Cite: Solution NMR structure of the OB domain of Ta0387 from Thermoplasma acidophilum. 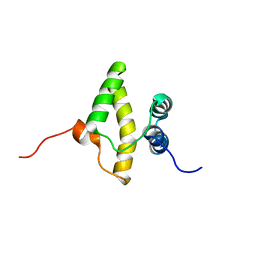 Cite: Solution NMR structure of ubiquitin-like domain of Arabidopsis thaliana protein At2g32350. 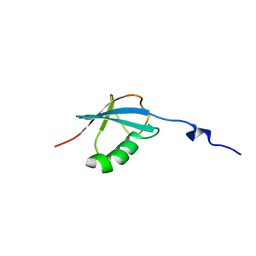 SOLUTION NMR STRUCTURE OF THE OB DOMAIN (RESIDUES 67-166) OF MM0293 FROM METHANOSARCINA MAZEI. 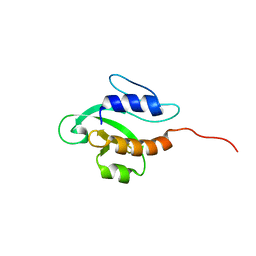 NORTHEAST STRUCTURAL GENOMICS CONSORTIUM TARGET MAR214A. 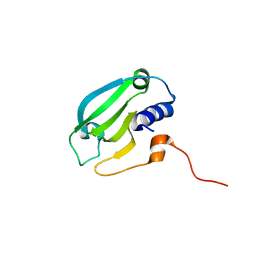 Cite: Solution NMR Structure of the C-Terminal Domain of Protein DR_A0006 from Deinococcus radiodurans. 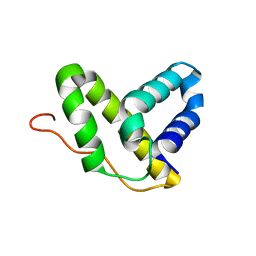 Northeast Structural Genomics Consortium Target DrR147D. 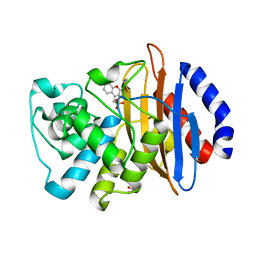 Cite: Solution NMR structure of F5/8 type C-terminal domain of a putative chitobiase from Bacteroides thetaiotaomicron. 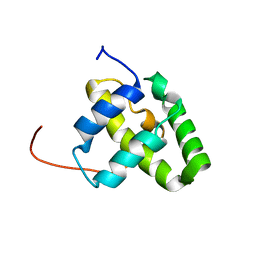 SOLUTION NMR STRUCTURE OF PSPTO_3016 FROM PSEUDOMONAS SYRINGAE. 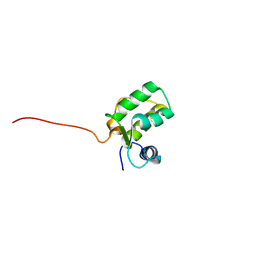 NORTHEAST STRUCTURAL GENOMICS CONSORTIUM TARGET PSR293. 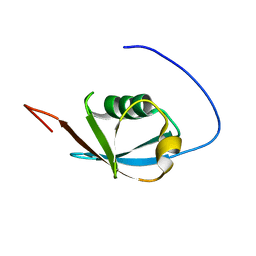 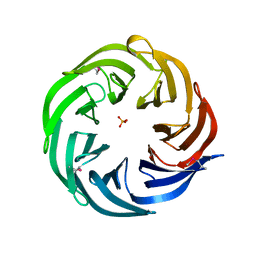 Cite: Solution NMR and X-ray crystal structures of Pseudomonas syringae Pspto_3016 from protein domain family PF04237 (DUF419) adopt a "double wing" DNA binding motif. 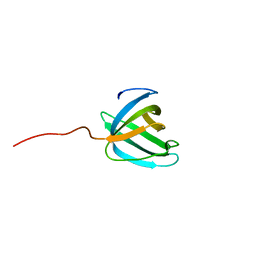 Cite: Solution NMR structure of VC_A0919 from Vibrio cholerae. 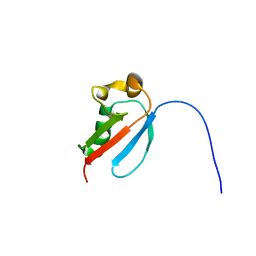 Northeast Structural Genomics Consortium Target VcR52. 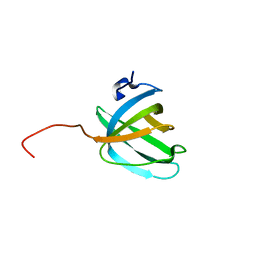 SOLUTION NMR STRUCTURE OF PROTEIN NMUL_A0922 FROM NITROSOSPIRA MULTIFORMIS. 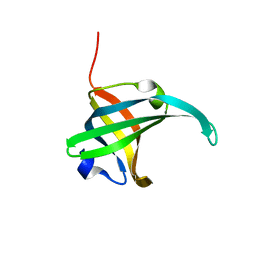 NORTHEAST STRUCTURAL GENOMICS CONSORTIUM TARGET NMR38B. 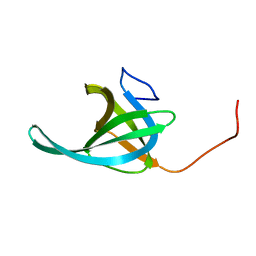 Cite: Solution NMR structure of protein Nmul_A0922 from Nitrosospira multiformis. 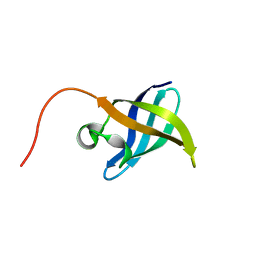 Northeast Structural Genomics Consortium target NmR38B. 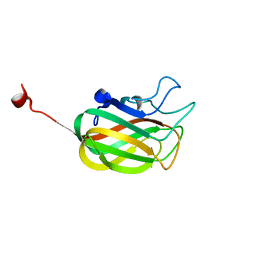 Cite: Solution NMR structure of a domain from a putative phage integrase protein Nmul_A0064 from Nitrosospira multiformis, Northeast Structural Genomics Consortium Target NmR46C.